Video Poker is a game based on the rules of usual 5-card draw poker. 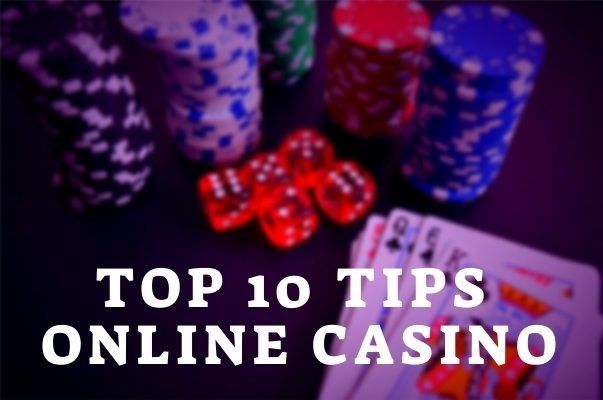 The primary difference is that it is played using gambling machines in “real” gambling establishments or with the help of a program when we speak about online gambling. 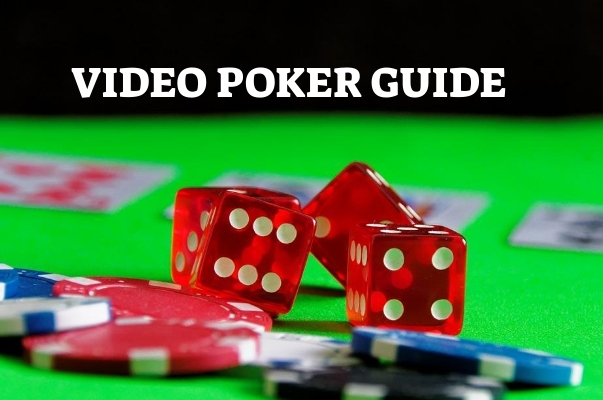 Unlike classic poker, its video version appeared relatively recently. After the gaming machine invention in 1887, the new version gained popularity and now it is played not only at brick-and-mortar casinos but also in computer mode attracting numerous Internet users. Video poker is available not only in casinos but also on various sites where there are many its modifications, including free versions. A land-based video poker game machine looks like a usual slot. At the top of the screen, one can see a table of winning combinations and payout rate for them. Three indicators below show the sum of the player’s credits, the latest round prize and the current bet. Using the button “Bet One” the player increases their bet by one coin. By pressing the “Bet Max” button, the player chooses the maximum bet and starts playing. Reaching the maximum bet when pressing “Bet One”, the next pressing of a button returns the bet to the minimum rate. The same buttons can be found in an online version. Having placed a bet, the player presses the “Deal” button and receives cards – five open from a deck of 52 sheets (or 53/54, if with jokers). When you press the “Hold” button or simply when clicking on a card that cannot be exchanged are held. After that, the player presses “Deal” again and the machine changes unfixed cards. In the case of achieving a winning combination, indicated in the upper part of the screen, the amount corresponding to the combination rate and the betting amount is credited to the player’s account. The combinations correspond to standard poker hands, the rarer the hand is, the higher the payouts one will receive. If you win, you may be asked to take a risk in order to increase the winnings. You can try to double your winnings (Double) or you can collect money (Collect). If you want to take the chance, click on “Double”, and five cards will appear on the screen, one of them will be face-up. Next, the player must choose one from the remaining four cards. If the chosen card is higher than the face-up one the win doubles, if it is lower – the money is lost. Another doubling option is guessing the color of a closed card. A player may double several times in a row. Some video poker machines also offer to risk not the entire amount of the win, but only half of it (Double-Half), some provide an opportunity to quadruple the winnings by guessing the suit of a closed card. There are many types of video poker that will suit the taste of many players. 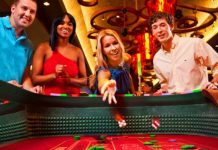 In general, gaming machines in casinos are mainly oriented to the classics and some of its varieties while online versions tend to be more diverse. Jacks or Better (winning combinations start from a pair of jacks and higher). Tens or Better (winning combinations are formed by 10s and high cards). Deuces wild is a variation played with 52 cards, where the 2, 3, 4, and 5 sheets are present. Each deuce in the deck is “wild” and can replace any card in combination. If there are several combinations formed with the help of deuces, then the highest of them is counted. Joker Poker is a game when one joker is added to a deck (usually one, but in some modifications two jokers are used). Joker, like the “wild deuce”, is able to substitute any card in combination. Similarly, when two or more combinations are formed with the help of Joker, only the highest of them is counted. “Triple Double Bonus Poker”, “Wild Sevens”, “Double Joker Poker”, and many more are offered to the gambling audience. The number of lines in the game: usually 1, 3, 4, 5, 10, 25, 50, 100 lines can be applied. In this case, the original hand is dealt on the same line. The cards chosen by the player are fixed on all lines, while not fixed ones are placed on each of the lines randomly. 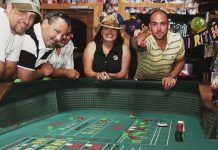 The jackpot presence: there are games, where part of the bet is used to form a progressive jackpot. The value of the jackpot is shown at the top of the machine’s screen. The jackpot is usually given for the collection of the best hand (royal flash) when playing video poker for the highest bets. 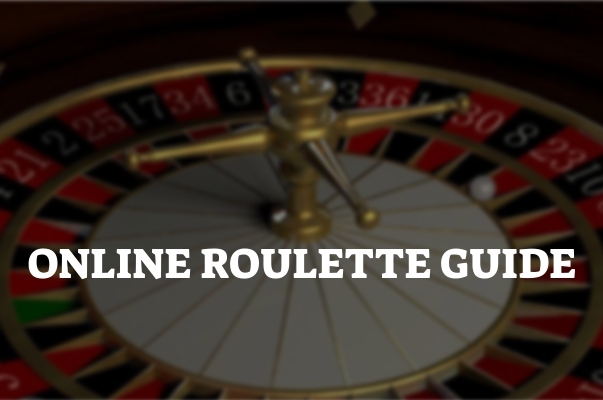 Paytables: payout tables in each particular game slightly vary, for example, one slot machine pays 50 to 1 for Quads, and another, pays 40 to 1 for the same combination, so do not forget to find out the payout percentage of a chosen game. 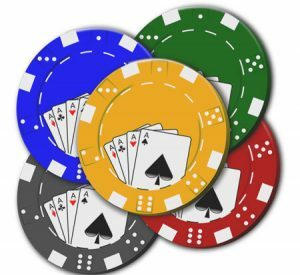 Video poker differs from the classic game in that it is not possible to play against an opponent which means it is impossible to determine their possible hand and bluff using the so-called tells. So you should rely on logic and luck. In a real money version, the main thing is understanding rules and the ability to stop on time, and the strategy varies depending on the type of chosen option. The main decisions that a player should be able to make are hold and fold decisions and calculation of possible combinations. 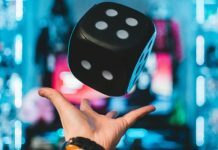 Often there is a choice – to play with a weaker hand (for example, a pair of seven) or try to risk exchanging it for the possible achievement of a higher one.